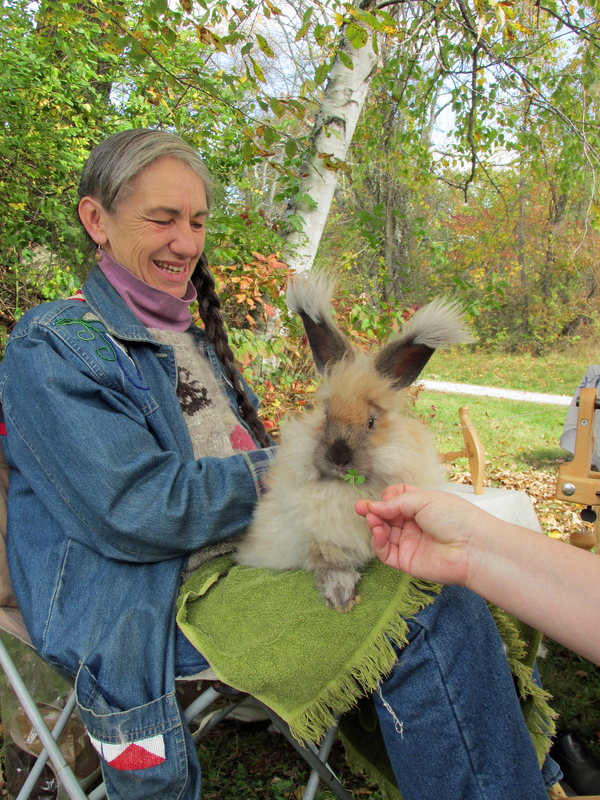 Natalie brings yummy clover to angora bunny! Bunny is very happy! The wool arts tour (or as we call it “wool weekend”) was great fun this year. 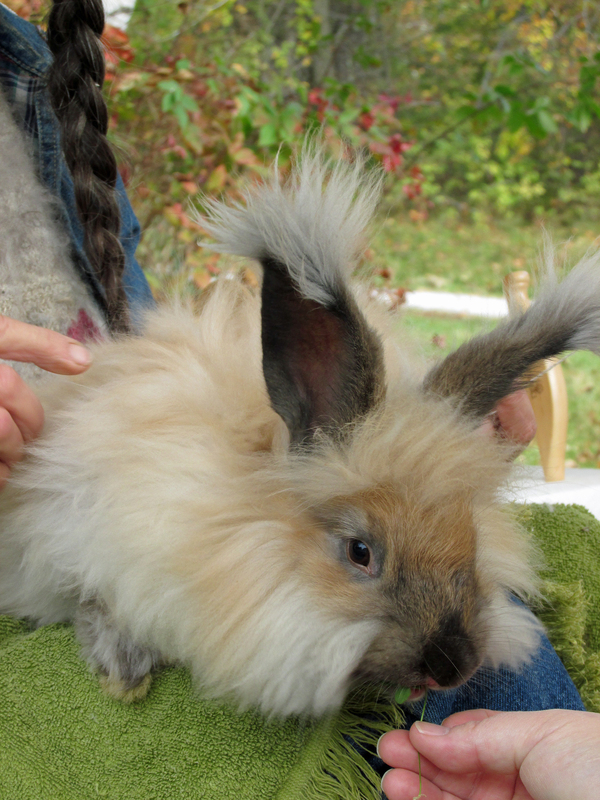 Last year I posted video and photographs of an angora bunny being “spun”. 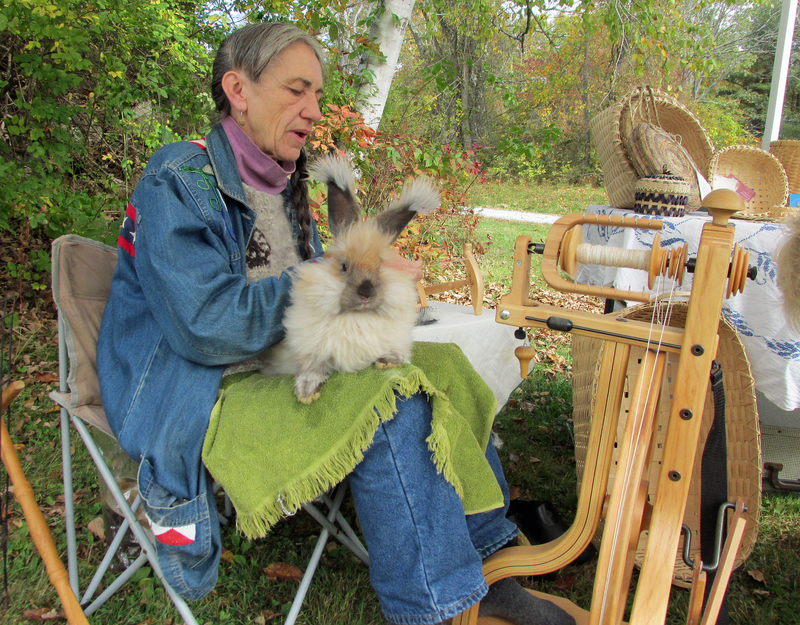 This year we met yet more spinning bunnies, more than happy to share their wool with humans that want to knit or crochet. My good friend Natalie discovered the bunnies love clover. Time to make the angora wool. Bunny can’t take his eyes off Natalie. 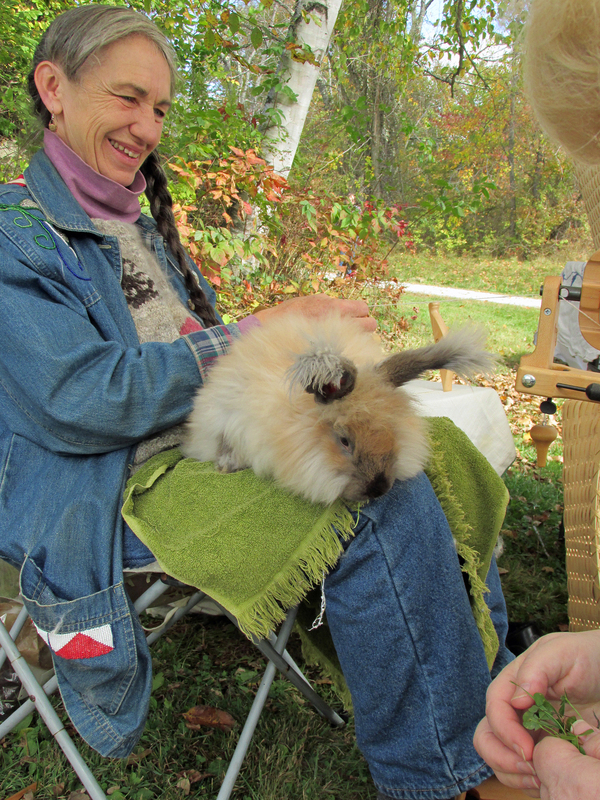 The bunnies at all the Wool Arts Tour stops can’t wait for Natalie to come next year. I’ll share another bunny this week! ‹ Fall is here, but Fishing Season Carries on!